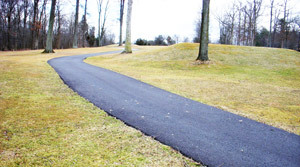 Smoothly paved cart paths and walking trails can greatly enhance the look and feel of a property and are essential to the safety of visitors. We repave, expand and create new cart paths and walking trails at a variety of public and private properties and businesses. We work carefully within your landscape, whether it be creating trails to connect buildings, winding cart paths through manicured greens or repaving trails to update their appearance and usefulness. 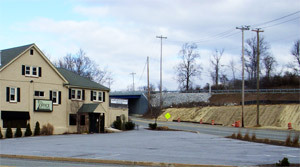 A well maintained parking lot is important to the overall appearance of any building. We have the equipment and experience to create a new parking lot or repave an existing one and will work with you to minimize disruption to your business during the paving process. We understand the value of having a reliable contractor on commercial properties and are committed to starting and finishing the job on time and as planned.